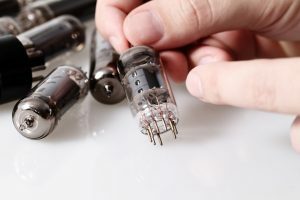 Considering the usefulness of tube amps, especially to musical instruments like the guitar, you’ll find many musically inclined people constantly experimenting with creating their own special tube guitar amps for best effects. Knowing, as they do, the intricacies of musical notes and sounds, and understanding the impact of it, they are actually quite adept at the task. Gradually, most of them learn to master the art of building a tube guitar amp that really works and deliver the best possible sounds that are nothing less than magical in their effect on the ears. 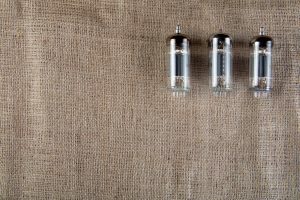 So if you’re one of those people who want to build a tube guitar amp on your own, here are some easy ways to do it. You can, of course, evolve as you go along the way, and see things get better and better. 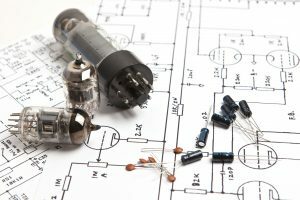 Fortunately, there are several ways to go about building an excellent tube guitar amp. You can build one from a kit or from an existing schematic, or you can start from the scratch (yes, that’s also possible). All these options are viable, and you can choose any depending on your personal interest and inclination. If you’re not too mechanically inclined but still want a device that suits your needs, you can rule out the `doing it from the scratch’ option and go for any of the other two. Can it be done from scratch? 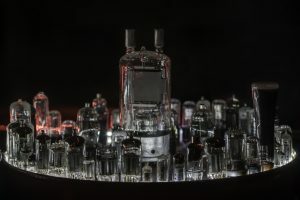 Yes, interestingly, it’s not tough to create a tube amp from the scratch, using old components that you may have salvaged from old instruments. 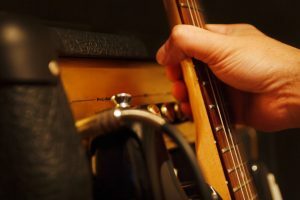 In fact, the vintage guitar amps, from about five to six decades ago, used a simple wiring technique in which the wires ran point to point. They could be easily modified to fit into different circuits and were also easy to maintain. 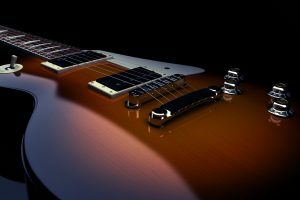 Many people prefer to adapt the same, using components from old guitars, to create their special brand of tube guitar amps. 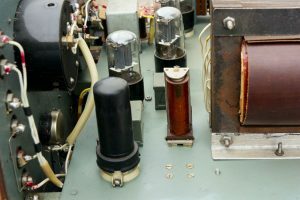 The modern amps, being mass-produced, generally use printed circuit boards where you can connect the components. Naturally, since this kind of an amp has to be built from the scratch, the task can be tough and time-consuming. Of course, as mentioned earlier, you needn’t really go about the whole process from the beginning. Amp kits are easily available in the market, and you can use these to create your amp with it by simply following the steps. These kits usually come with a chassis that’s pre-punched, along with other components and detailed instructions to be followed. The other kind we spoke about earlier was the schematic type, which can also be quite easily worked on. Such schematics are, again, quite easy to locate online. EL34World.com has a great collection of schematics here. Naturally, it’s a little more challenging than building from a kit but once you get the hang of it, you’ll probably find it quite easily managed too. Never read a schematic before? Robb Robinette has an easy-to-follow guide to reading schematics here. Even if you’re not working on a completely do-it-yourself design, these few tips can help you do a better job even with the kit. All it needs is a little bit of substitution of the parts. For instance, you may like to use a heavier chassis than the one commonly provided in these kits. Generally, aluminum is preferred for the chassis since it provides excellent strength while keeping the weight low. An added advantage is that it doesn’t allow magnetic fields to flow through. But since it’s not sufficiently strong for heavy devices, a better idea may be to use steel. You can also go for a bigger speaker and use a turret board as a replacement for point-to-point. 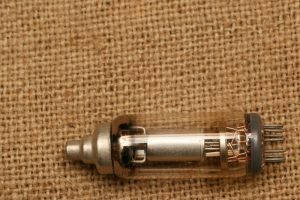 Usually people use a 12AX7 preamp tube, as that’s the one which most guitars use. 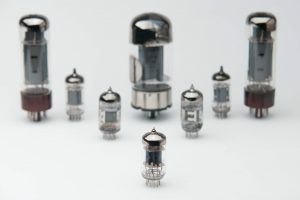 high power tubes, filter capacitors, audio output transformers and other vacuum tubes. Another thing you need to keep in mind is that these things can be dangerous. After all, you’re playing around with electricity, which can trigger accidents if not handled properly. So be on a watch for the voltage and amperage – neither should be too high. If you don’t understand these things you shouldn’t even consider playing around with them in the first place. In any case, remember to unplug the mains cord before you get down to working on your tube guitar amp. The power supply filter caps also need to be drained completely before you start messing around with the circuit. To check if they are drained, use a VOM. 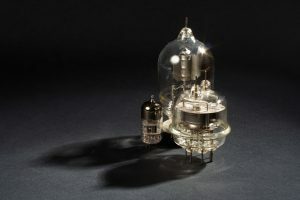 Watts’ Tube Audio’s collection of Fender schematics. If you’re doing this for the first time, the best way to start is to go with a kit, followed by a schematic, before moving to construction from the scratch. Apart from following the building instructions, it’s also important to follow the safety instructions so that you don’t end up getting an electrical shock. These are not the things you can play around with, and the sooner you realize that the better for you. The positioning of the various components is also important to ensure the device safety. So if you’ve understood the basic concept and principles, you’re good to go. 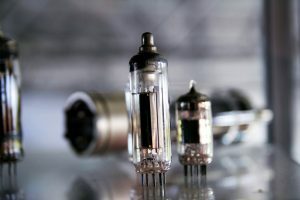 If you want to get a basic 5-watt tube amp and start modding it and adding features, check out our article on the best 5-watt tube amp.